New Delhi: India may have to pay hundreds of millions of dollars in damages to Deutsche Telekom over the manner in which it cancelled a satellite communications contract in 2011, according to legal documents reviewed by The Wire. This week, the Federal Supreme Court of Switzerland rejected India’s challenge to a December 2017 arbitration ruling, which had favoured the German telecom firm. This, experts say, concludes any available appeal to the arbitration ruling, which was delivered by a UNCITRAL tribunal. The three-member, Geneva-seated tribunal is presided over by Gabrielle Kaufmann-Kohler, a leading international arbitrator. According to people with knowledge of the matter, the tribunal is currently determining the quantum of damages that India will have to pay. The Deutsche Telekom case is the third in a series of legal challenges mounted by telecom firm Devas Multimedia, and its investors, over how India dealt with what is now widely known as the Antrix-Devas controversy. In 2005, Devas Multimedia entered into a contract with Antrix – the commercial arm of ISRO – whereby the latter would launch two satellites and provide S-band spectrum to allow the former to offer broadband services across India. The contract hit a wall in 2010, when a leaked draft CAG report alleged potential impropriety in the deal. A nervous UPA government pulled the plug, dismissing several senior ISRO scientists and canceling the deal on grounds of ‘force majeure’. 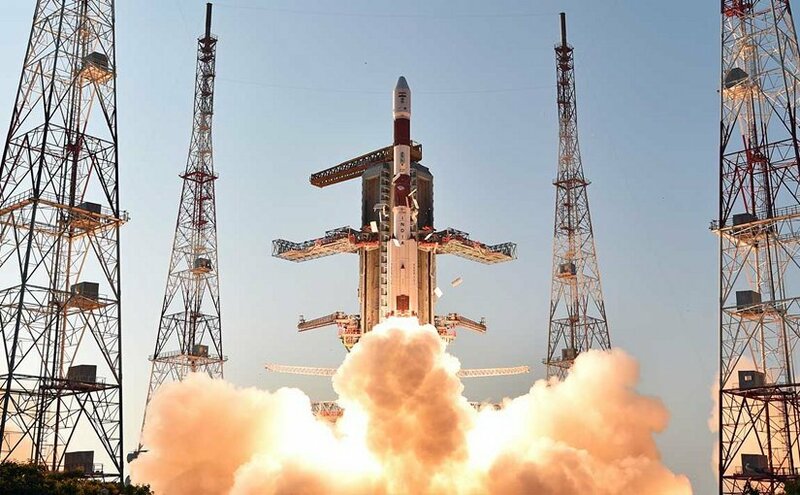 At the time, it cited a government policy prohibiting the allocation of valuable ‘S-band spectrum’ to parties not involved in India’s space programme. In the fallout, Devas Multimedia filed an arbitration case in the International Chamber of Commerce (ICC), which it won in 2015. The ICC ordered that Antrix pay $672 million to Devas. The second case was filed by the shareholders of Devas, which included American investors Columbia Capital and Telecom Ventures. They initiated the challenge under the Indo-Mauritius bilateral investment treaty (BIT) in the Permanent Court of Arbitration. This case also went against India, with rumoured damages of over $1 billion. The third and final legal challenge was initiated by Deutsche Telekom, also an investor in Devas Multimedia, in September 2013. Deutsche Telekom told the tribunal that “political considerations linked to the public scrutiny over the allocation of the territorial 2G spectrum” was the real reason for Indian government annul the agreement. The Indian government countered that the BIT contains an “essential security interests clause”, doesn’t include pre-investments, investments and indirect investors. India also asserted that the contract was cancelled on a “policy decision” to reserve a segment of S-band spectrum for use by military and other security agencies. After a winding process, in December 2017, the tribunal came to a conclusion. According to documents reviewed by The Wire, it ruled that by annulling the Antrix-Devas contract in 2011, India had breached the “fair and equitable treatment standard” provided in Article 3(2) of the Germany-India BIT. Soon after, The Wire has learned, India moved Switzerland’s highest court, filing an application to set aside the tribunal’s award. According to legal experts involved in the case, the government invoked a number of jurisdictional arguments that didn’t work, and also alleged that the tribunal had violated its right to be heard. Another core issue in the Swiss court case, also laid out before the tribunal, was whether Deutsche Telekom’s ‘indirect investment’ in Devas through a Singaporean subsidiary entitled it to protection under the India-Germany BIT. “My impression is that the view of the majority of the Court is correct. They focused on the fact that, economically, a German company (Deutsche Telekom) invested in India, and that, for this reason, the investment was covered by the relevant BIT, whose very purpose it was to encourage such investments,” Daniel Hochstrasser of Bar & Karrer, Deutsche Telekom’s counsel, told The Wire in an emailed response. “Since indirect investments are quite common (as has been found by the Arbitral Tribunal), there is simply no basis to read such a restriction into the BIT in the absence of any indication in the text that such a restriction was intended,” he added. The Global Arbitration Review wrote that the court, in a three-to-two majority, ruled that the Germany-India BIT covered both “direct and indirect investments”. It therefore “did not preclude a claim by Deutsche Telekom in respect of an investment in India routed through a Singaporean subsidiary”. The Swiss court’s decision brings down the curtains on the third arbitration case arising out of the Antrix-Devas controversy. It will come as a blow to the Modi government, which is currently battling as many as 23 investor-state disputes. An out-of-court settlement is still possible – Deustche Telekom appeared to be open to the possibility back in July 2018 – but the Swiss judgement has weakened India’s bargaining position.